As a Haynes Artist, I love the amazing experience of playing this instrument - the ease and flexibility it offers, combined with the huge range of colours and dynamics across the whole range of the flute, leaves me feeling inspired each day. I have never felt more exhilarated in my 24 years of working as a principal flautist. I would like to thank David and Lyndie Leviston and their wonderful team at Flutes and Flutists in Sydney. Their tireless support in finding the perfect flute for my students and myself, is a credit to the level of dedication they continuously provide. Andrew Robert Nicholson was born in Hampshire, England in 1970. He studied with Robin Soldan, Janet Alexander, Peter Lloyd, Clare Southworth, Geoffrey Gilbert and Trevor Wye. In 1984 Andrew won the National Music for Youth Competition at the Festival Hall and was a finalist in the Shell/LSO Competition. In 1985 he won a scholarship to study at Chethams School of Music where he regularly performed as a soloist, and was a finalist in the BBC Young Musician of the Year Competition. Andrew was awarded the Orchestral Prize on finishing at Chethams. He continued his musical education at the Royal Northern College of Music in Manchester, where he was a regular soloist with the RNCM Chamber Orchestra and made a concerto appearance with the London Mozart Players as winner of the Sir Malcolm Sargent Award. Whilst at College, Andrew regularly recorded and performed with the BBC Philharmonic Orchestra. In 1992, he was appointed principal flautist with the Hong Kong Philharmonic Orchestra with whom he performed regularly as a soloist. His performances included the Mozart in G Concerto, the Rodrigo Flute Concerto and Bach’s Orchestral Suite No.2. Andrew returned to England in 1999 when he was appointed as principal flautist with the Halle Orchestra in Manchester. He performed several concertos with the Halle and recorded the Nielsen Flute Concerto with Sir Mark Elder. Andrew regularly performed and toured as guest principal flautist with the Royal Scottish National Orchestra, Scottish Chamber Orchestra, Royal Liverpool Philharmonic Orchestra, Opera North and the City of Birmingham Symphony Orchestra, and the Bournemouth Symphony Orchestra with Andrew Litton and Marin Alsop. In 2002, Andrew moved to London to take up the position of principal flautist with the Royal Philharmonic Orchestra under Gatti and Dutoit and recorded Mozart’s Concerto in G Major and Suite Antique with John Rutter. Andrew also worked and toured extensively as principal flute with Gergiev and the London Symphony Orchestra, the London Chamber Orchestra, the Philharmonia Orchestra, the London Philharmonic Orchestra, the Malaysian Philharmonic Orchestra, the English Chamber Orchestra, and the Academy of St. Martin-in-the-Fields under Murray Perahia and Sir Neville Marriner. Andrew also gave master classes at several London music colleges, including the Royal Academy of Music, the Royal College of Music and the Guildhall School of Music and Drama. He has been the outside examiner for the Guildhall School of Music and Drama and the Royal Northern College of Music. Andrew was appointed principal flute of the BBC National Orchestra of Wales in 2007, and continued to work and tour with the London Symphony Orchestra, the London Philharmonic Orchestra, the Philharmonia Orchestra, the Hebrides Ensemble and the Academy of St. Martin-in-the-Fields. Andrew has coached the National Youth Orchestra of Great Britain, the National Youth Orchestra of Wales, the Athens Camerata and the LSO Side By Side Scheme at the Royal Academy of Music. He appeared on BBC television as a panelist for the finals of the BBC Young Musician of the Year Competition and can be heard on various film and television recordings, including three of the Harry Potter movies, Doctor Who, and Sir David Attenborough’s The Blue Planet and The Life of Mammals. 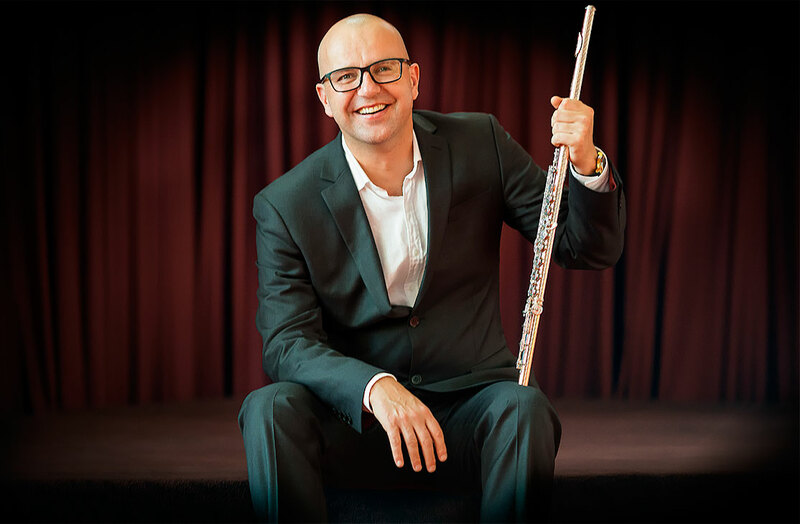 Andrew joined the West Australian Symphony Orchestra (WASO) in March 2010 as principal flute. He has since given master classes in Sydney, Melbourne, Perth and Adelaide and has performed several live solo recitals for the ABC National radio. 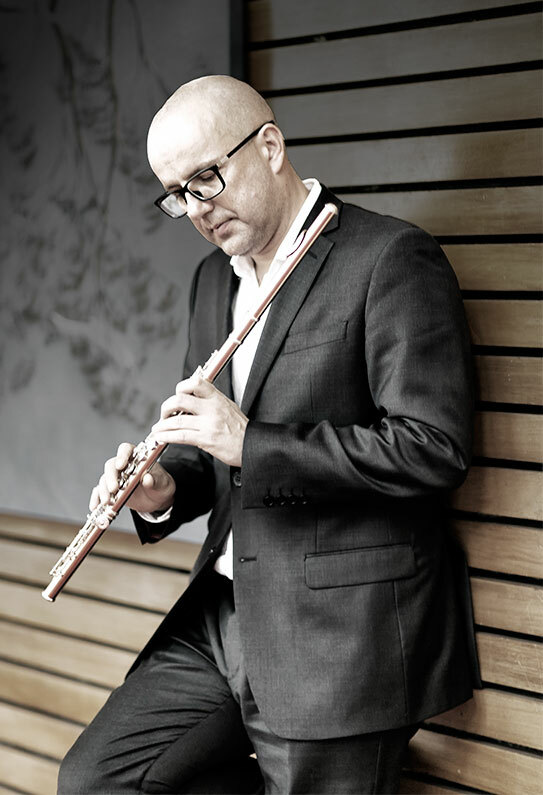 He has performed with the Australian Chamber Orchestra as principal flute/soloist under director Richard Tognetti, in Melbourne and at the Sydney Opera House. Andrew regularly gives master classes at the Australian National Academy of Music in Melbourne. He has performed as soloist with WASO, including Mozart’s Concerto in G with Verbitsky, Concert a Quatre with Simone Young, Elliot Carter Flute Concerto and the Bach Suite No.2 and Mozart’s Flute and Harp Concerto with harpist Marshall McGuire and principal conductor Paul Daniel. Andrew has recently performed with the China Philharmonic Orchestra in Beijing and coached the woodwinds of the National Youth Orchestra of Australia at their Summer Camp in Adelaide 2015. He will also be joining them again for their Summer Camp in Canberra, in January 2016. Andrew lectures at the University of Western Australia, the Western Australian Academy of Performing Arts and the Australian National Academy of Music in Melbourne. Andrew has recently become a Haynes Artist, and plays on a 14 Carat gold flute.